Tonight’s meeting is cancelled. See the mailing list for our next team meeting date. The team brought its VEX field and outreach booth once again to the Herndon Festival! We staffed continuous games with ‘square-bots’, small, remote controlled robots for all ages. 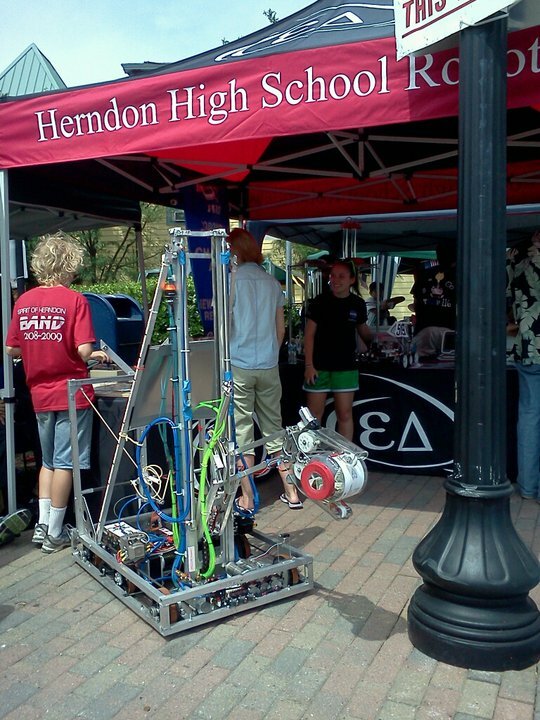 Hundreds of people saw our booth, interacted with our members, and learned about what we do as a team! Our team members also volunteered to help staff the 5K/10K race on Sunday, June 5th.